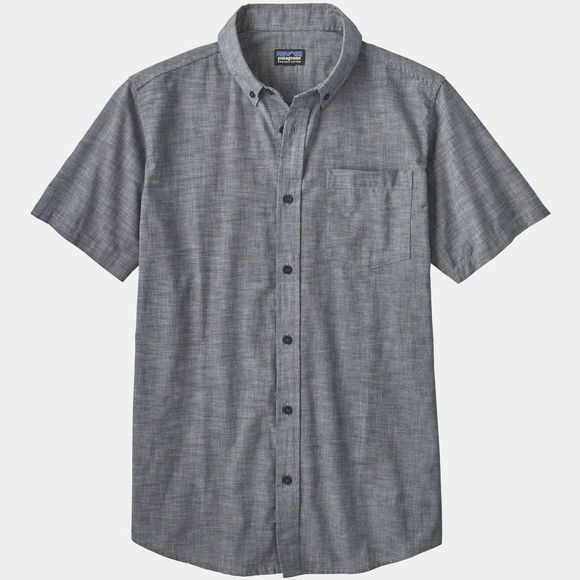 The Mens Lightweight Bluffside Short Sleeve Shirt from Patagonia has a timeless silhouette, with a button-down collar, short sleeves and a button front. Made from a soft, lightweight blend it breathes, feels cool on the skin and dries faster than a traditional all-cotton shirt. With a slim profile, a left-chest pocket that holds a passport and a shirt tail hem that stays put when you’re carrying a shoulder bag or backpack.